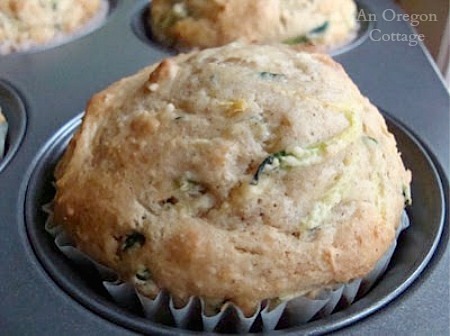 You are here: Home / Food & Recipes / Canning & Preserving / Freezing Basil Leaves 6 Ways: Which Is Best? 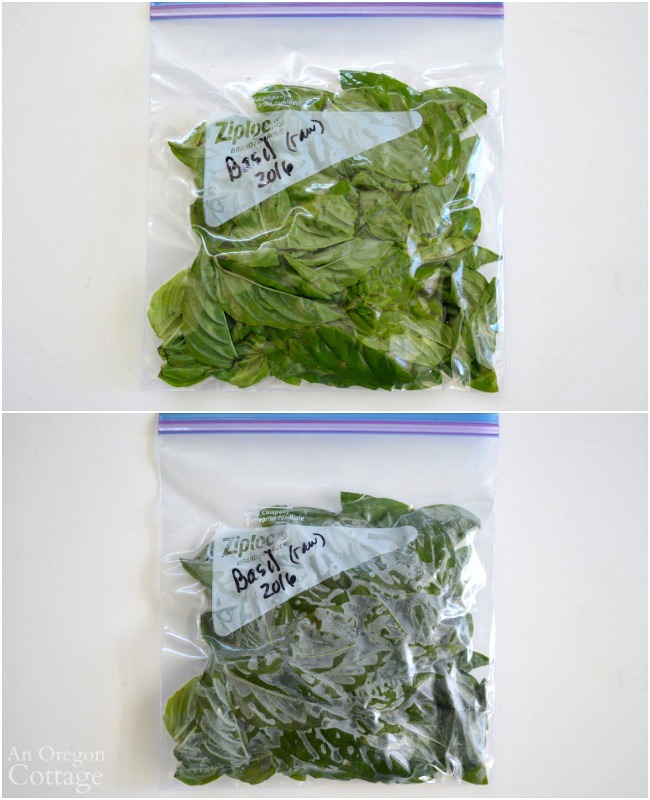 Freezing Basil Leaves 6 Ways: Which Is Best? What’s the best way to freeze basil leaves so that they remain as fresh as possible and are easy to use in recipes throughout the winter? Here are six different ways put to the test! I’ve always believed that freezing basil to preserve it through the winter is best accomplished through making pesto. And it’s great to have it so convenient to use for bread toppings and pasta dinners, among other things. But if you’ve ever grown a couple basil plants, you know that when they’re happy (in my garden, that’s after getting rid of bugs…) they will continue to pump out leaves until frost kills them. 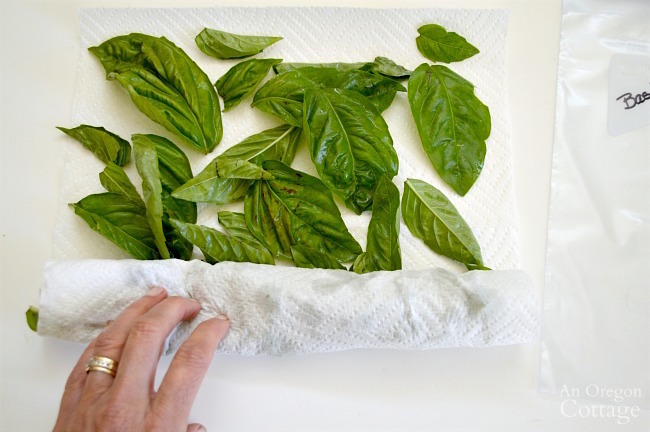 What is the best way to freeze basil leaves? Can it really be done and still have that great basil flavor? 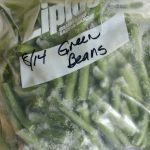 And since I’ve been pretty vocal about my love for not blanching produce before freezing (like beans, peas, corn, and peppers) because of how easy it is and the better results, of course you can guess I’d have to test this with basil, too. 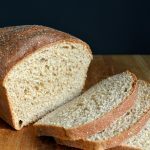 So I gathered six different methods, tested them all on one day, froze them for a week, and took pictures along the way to share with you. 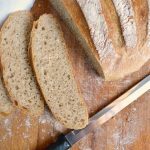 There was a clear winner for me – and a second method that surprised me. 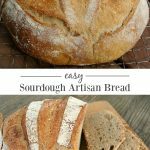 Each method is pretty easy to do, though, so you can choose any one you think looks best! I’m starting with the method of blanching and freezing fresh basil leaves because it is the “official” way. 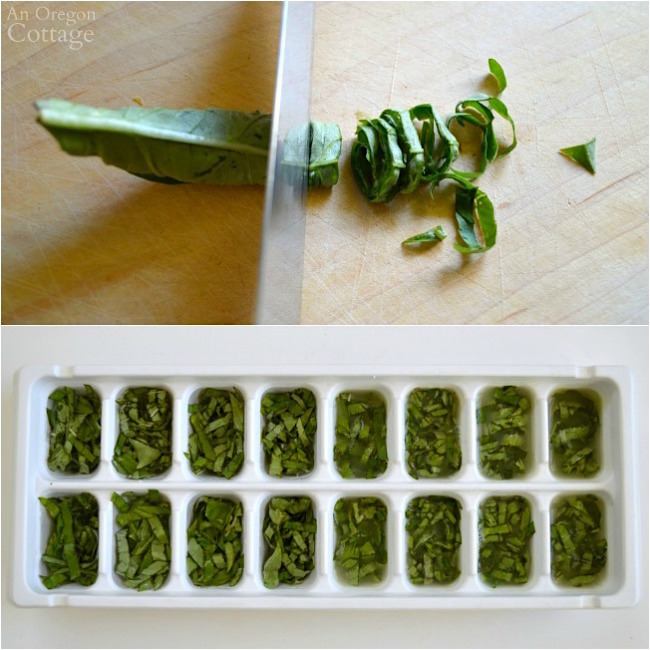 Meaning, when you search for how to freeze basil, this will most likely be the first thing that comes up. Wash & dry basil leaves. Put fresh basil leaves into a colander that fits into the pot (it’s important to have the basil in something so you can quickly remove it all at once). Dip the colander with leaves into the boiling water for just 3-5 seconds. 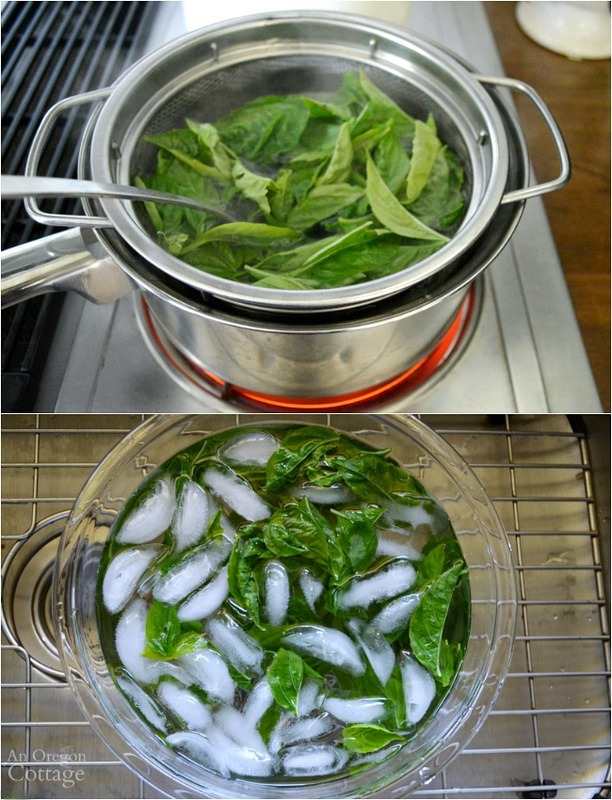 Transfer blanched leaves immediately to the ice water bath. Spin the blanched leaves dry in a salad spinner (or pat dry as best you can). This is the spinner I use and love – it’s the longest lasting one I’ve had. Lay out on a cookie sheet and freeze until firm, 12-24 hours. 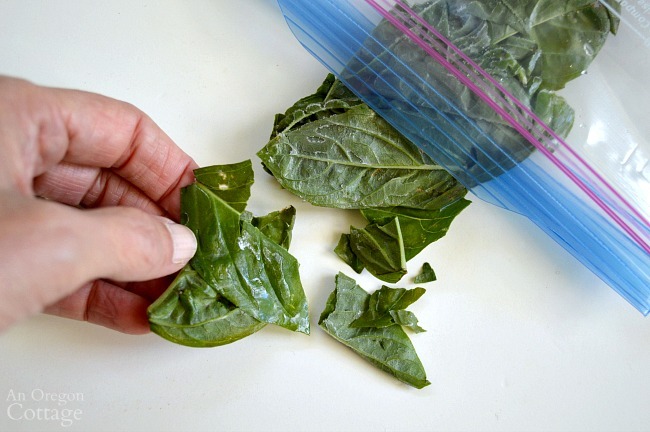 Transfer leaves to a freezer bag – they start thawing immediately, so move quickly. Results: Brightest color, though most time-intensive. If leaves are blanched just a few seconds too long, some turn brown, which I found stressful. Transferring to freezer baggie was hard since they start to thaw within seconds on tray and are very wilted. Once in the bag, though, the individual leaves were easy to remove to use in recipes. Lay out on a cookie sheet in a single layer. Freeze until firm, 12-24 hours. Transfer leaves to a freezer bag, pressing out as much air as possible. Results: The frozen leaves looked exactly like they did when I put them on the tray, BUT they started to thaw so quickly it was tricky to get them into the bag and they turned brown rapidly as I did. They, too, were easy to remove for recipes, though they ‘broke’ more than the blanched leaves (which may be better for recipes?). Here’s a side-by-side comparison after bagging up both the blanched and unblanched leaves. You can see on the left how brown the unblanched leaves became as I transferred them to the bag. The smell and flavor (I pulled off pieces to taste just to see if there was a difference) seemed the same, however, so it’s a matter of visual appeal, I think. I read about this method in a comment on a website, “I have always rolled my basil in paper towel and then in Ziplock bag in freezer” and was curious to see if the paper towel made any difference. I’m assuming it is to soak up moisture? 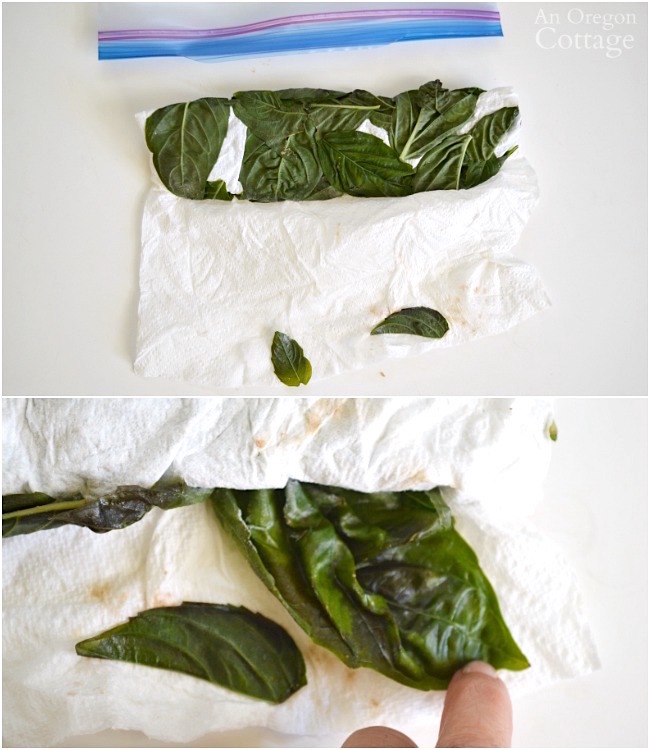 Add a single layer of leaves to a paper towel and roll it up. 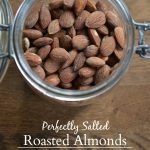 Place in a gallon freezer bag, removing as much air as possible (have you used this trick yet?) and freeze. Result: Hard to peel leaves off paper, not easy to access leaves for recipes (have to take roll out, unroll and peel off leaves…), and some of the leaves actually turned brown in spots. 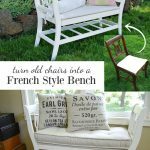 This was probably my least favorite method – there wasn’t much to recommend it in my opinion. 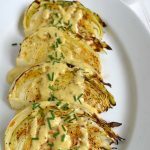 Since this was a version of my favorite non-blanching method, I wondered if it could be any different than how I usually do it on trays? Place leaves into freezer bags. Remove as much air as possible, either by pressing or using this trick, and freeze. Result: Decent color, easiest method (only handle the leaves one time), easy to break off portions to use. Oh, my gosh, this was the WINNER in my book! Look at the more natural green color (the blanched basil looks unnaturally green to me) and how fresh the leaves still look! While you have to actually break off chunks to use (vs. the individual frozen leaves of blanched), that’s not hard to do and it’s how you would use them in cooking anyway. It’s true that the leaves will turn brown as you cook with them, but that’s what fresh leaves do, too, so that’s not a negative for me. I love, love, that again the easiest method proved to be a good one – and the best one for me. But there are still two more popular Pinterest methods to test, one that surprised me with it’s usefulness, the other with it’s…not so usefulness. 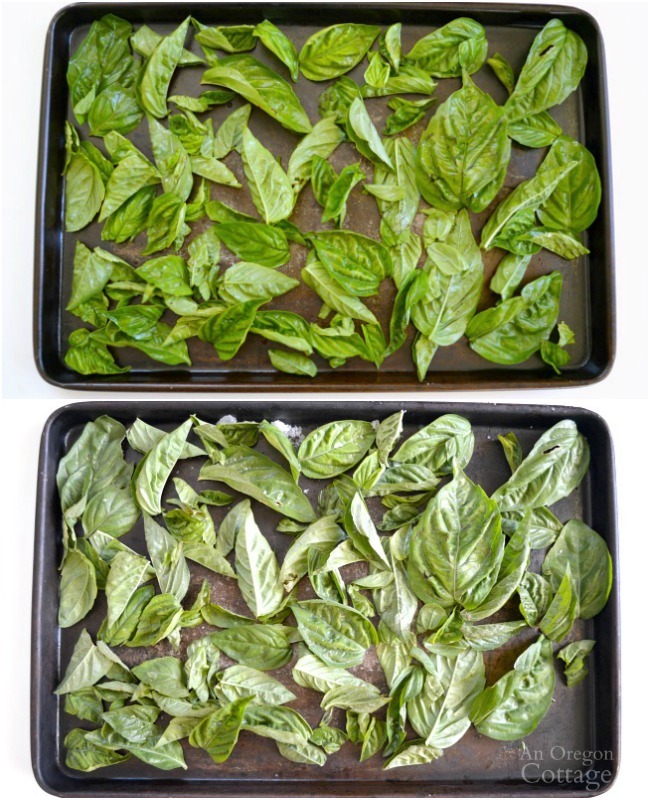 Wash, dry & chop basil leaves. 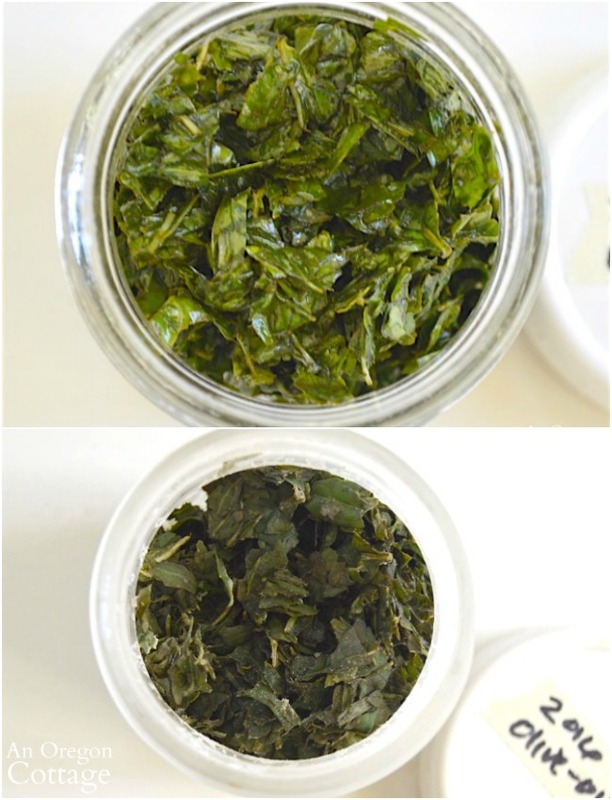 Toss leaves with a bit of olive oil (I used 3 c. of leaves to 2 TB. oil). Portion into mason jars and freeze. Results: Very dark leaves and very hard to remove – I needed to chip away at it just to remove a bit. The oil didn’t seem to help keep color at all. I was actually surprised to learn that this was another of my least favorite methods since it seemed to be so popular. I’ve read about this method many times and have done a version of it by processing leaves in a food processor, almost like pesto, before adding them to ice cube trays (one time in olive oil). 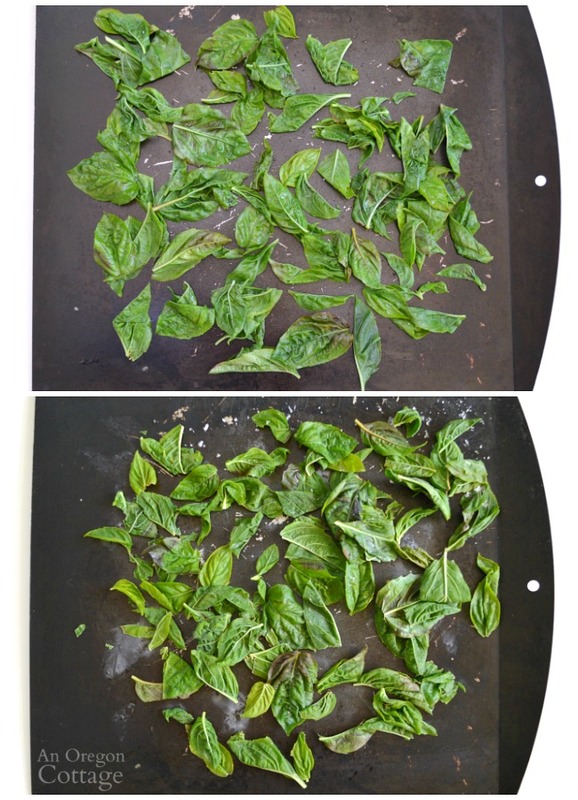 Wash, dry & slice basil leaves. Divide among ice cube tray sections. Add either water or broth to cover leaves. Freeze until firm and place in labeled freezer bags (or use ice cube trays with covers and store them in the trays). Results: The leaves kept good color in both the water and broth. Although there is slightly more time involved with cutting and pouring, it’s easy to transfer the cubes to baggies and easy to use cubes in soups and stews. This was another WIN for us as I see these cubes being a lot more versatile than smaller cut basil or oil-covered basil. The cubes would even be a way to add basil flavor to curries. SO, I will be preserving the rest of our basil leaves unblanched straight into baggies and I’ll make sure to have a few liquid cubes, too, for our favorite winter soups and stews. 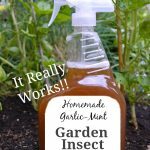 I’m happy to have these ways to keep the basil flavor all winter- along with lots of pesto, of course. 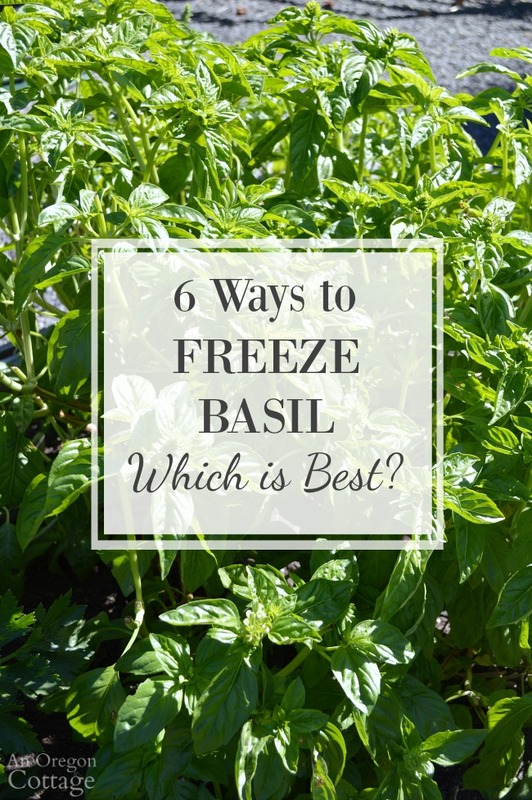 Have you used any of these methods for freezing basil? Do you have a favorite? Let me know in the comments! 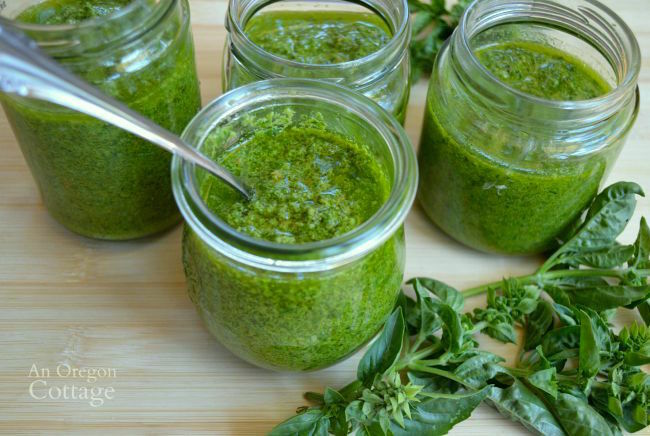 Homemade Pesto (with secret, frugal ingredient!) 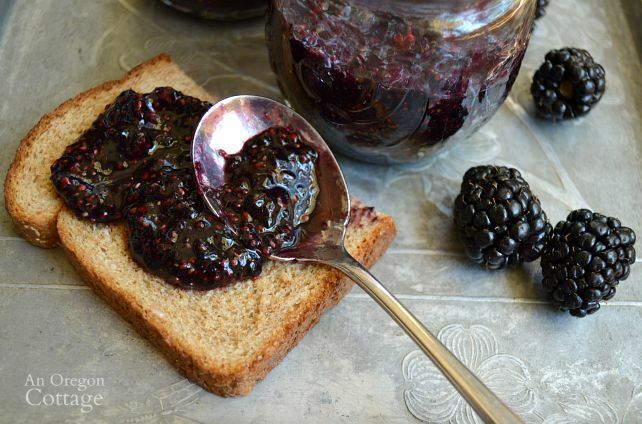 to Freeze and Eat All Year! Thank you for experimenting! 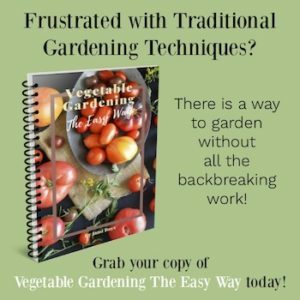 Luckily, your “WIN” method was the one I was naturally inclined to try– also the easiest for those of us who are lazy! I, too, love it when that happens! I’m glad it was helpful to you Debbie! Thanks for doing the legwork! One other freezing method we used at a pasta shop I worked in: process the basil in a food processor, ice cream scoop basil onto parchment-covered baking sheet. Freeze overnight and transfer into baggies and put back into freezer. No water or oil added. I’m going to do the superb easy method and wash and put right into baggies. 🙂 thanks! Well, that method would sure make it easy to plop some basil into a recipe, wouldn’t it? Thanks for sharing this Josh! Very grateful for your research! 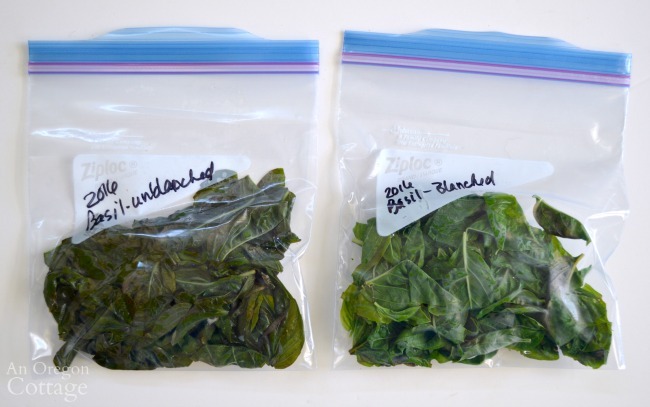 I just put the gallon zips of unblanched basil leaves in my freezer. Here’s hoping for winter bounty! Much appreciate! I’m very thankful for all the leg work you’ve done! Now I’m excited to preserve my basil knowing I can quickly and easily toss it in the freezer! Cheers to great basil all year round! Sure glad you found this helpful, Karley – enjoy your basil! Once again, you helped me out Jami! 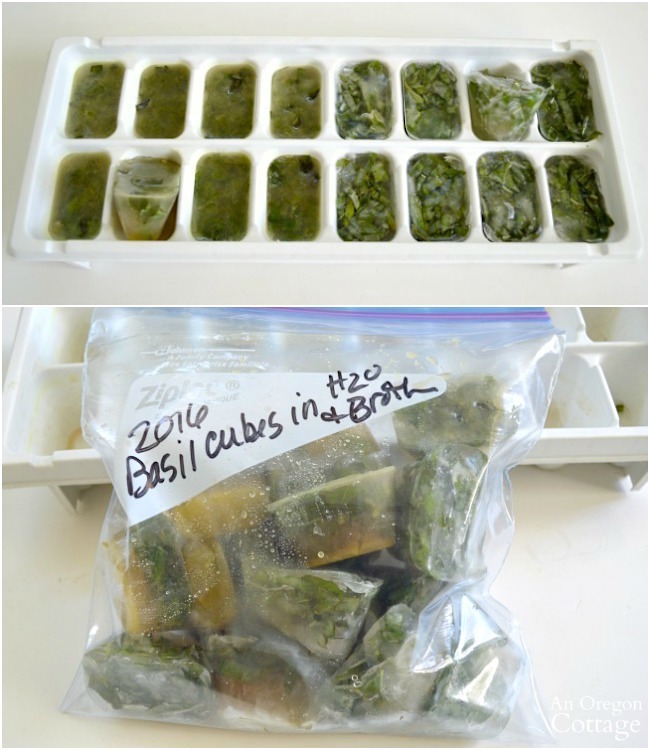 I absolutely appreciate your tried and true methods for freezing basil. You are my go too source, and when you’ve done all the homework, how can I go wrong. Thanks again for being the bomb.com when it comes to preservation of the fresh stuff.!!! If the basil is from my garden why do I need to wash it first? Am going to put some in snack size bags then put them in a freezer bag. Nope, you don’t unless it’s dirty from harvesting or something. Totally up to you! I was wondering if you have tried the freeze in a zip lock bag method with cilantro? Thank you so much for sharing your work. I just froze up some of my basil. I haven’t (I’m not a cilantro fan…), but I think it would work as well. Maybe better since cilantro is a sturdier leaf. I freeze cilantro in a freezer bag, just toss it in dry and freeze. Works great for adding to cooked foods, breaks off and chips easily when frozen. I often do this with a bunch from the store because I rarely need all of it in the time that it stays fresh in the fridge. 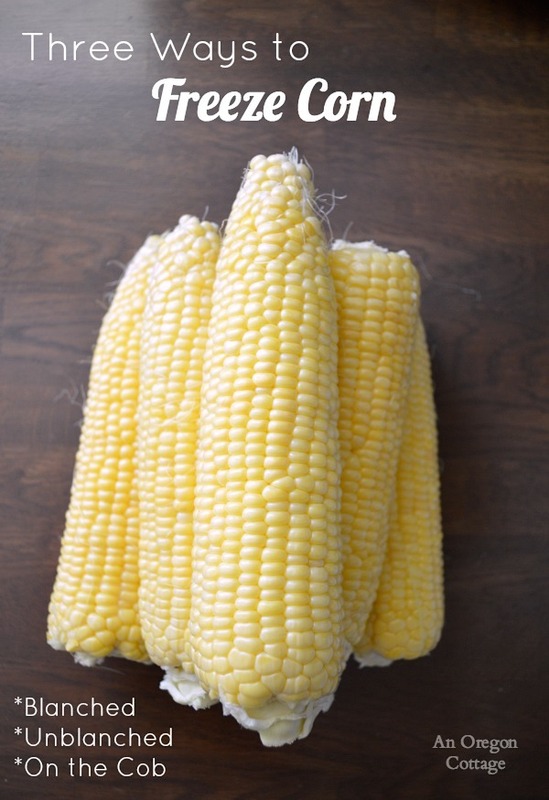 Please do not tell people they can freeze produce without blanching. While it may remain edible for a bit, it will ROT through winter storage. I haven’t had that happen and I’ve been freezing all kinds of vegetables this way for years. Each person has to make their own decisions about things like this (that aren’t life or health threatening). Have you harvested mint leaves? Did you freeze like your basil? I’m thinking that should work? I haven’t, Cheryl, but I’m with you and think that the methods here would work with mint, too.